Our clients have been hurt by the defendants. We don’t compound that by then treating them like a number. Every client is, to us, a unique individual facing a unique situation. We see every client as a person worthy of deepest respect and serious attention. Jonathan M. Sedgh is an associate attorney in our Drugs & Medical Devices Litigation group, intimately involved in lawsuits against makers of pharmaceuticals, equipment and implants purporting to be safe for consumers when, in fact, they are quite the opposite. To date, he has played central roles in more than a dozen multi-district litigations and state-court coordinated actions where he managed and litigated thousands of cases from inception to settlement and/or trial. In 2014, Mr. Sedgh was an integral part of the Actos multidistrict-litigation trial team that won for our client a verdict worth more than $9 billion. This first bellwether trial took place in U.S. District Court in Lafayette, Louisiana over a three month period. The jury of eight unanimously found that defendants Takeda Pharmaceuticals and Eli Lilly’s diabetes drug Actos was a substantial factor in causing our client’s bladder cancer. The jury also decided that the conduct of these defendants was reckless and consequently awarded our client $9 billion in punitive damages, making this one of the largest personal injury award in U.S. history. Owing to these and other achievements, Super Lawyers magazine identified Mr. Sedgh as a Top Rated Products Liability Attorney in New York City. He has been named a Super Lawyers Rising Star consecutively since 2015 to the present. The publication explains that an attorney is deemed worthy of induction to the list when he or she becomes widely acknowledged as possessing legal prowess a cut above 95 percent of all other lawyers in a given locale and practice area. 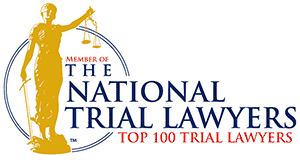 Also since 2015, and for the same reasons, The National Trial Lawyers — an association promoting excellence in the legal profession — designated Mr. Sedgh as a Top 40 Under 40 trial lawyer, a prestigious honor accorded only to attorneys who exemplify superior qualifications and meet stringent qualifications. In 2016, Mr. Sedgh was appointed to the Plaintiffs’ Steering Committee in In Re: Cook Medical, Inc., IVC Filters Marketing Sales Practice and Product Liability Litigation (MDL No. 2570) before the Honorable Judge Richard L. Young and Magistrate Judge Tim A. Baker. The Plaintiffs in this MDL allege that Cook Medical was responsible for a defective device implanted in their Inferior Vena Cava (IVC) designed to prevent blood clots from entering their lungs and heart. Over the years, Mr. Sedgh has been both a speaker and panelist at mass-tort product liability seminars around the country. He is admitted to practice law in the state of New York and to represent clients in the New York Southern and Eastern jurisdictions of U.S. District Court. He is a member of the bar associations of New York state and city (in 2011, the latter hand-selected him as one of 25 attorneys to serve on its product-liability committee — an exclusive group that includes the in-house counsel of major pharmaceutical and medical device companies). Mr. Sedgh studied law at Hofstra University School of Law, a course of instruction capped in 2006 by his receipt of a juris doctor degree (Hofstra University also was the institution from which he earned a bachelor of business administration degree; the year was 2003). Mr. Sedgh, who hails from New York, is a fluent speaker of Hebrew and Farsi. Jonathan M. Sedgh will be happy to review your case.